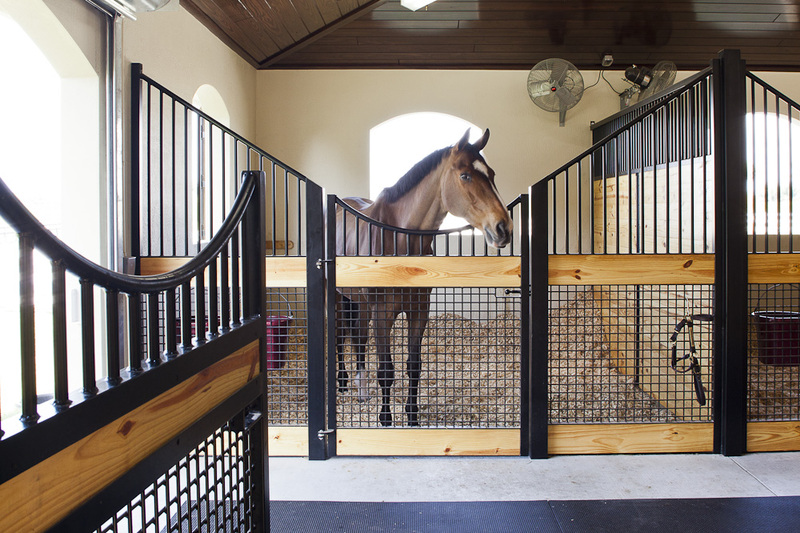 We all know that ventilation should be one of the top priorities in any barn. 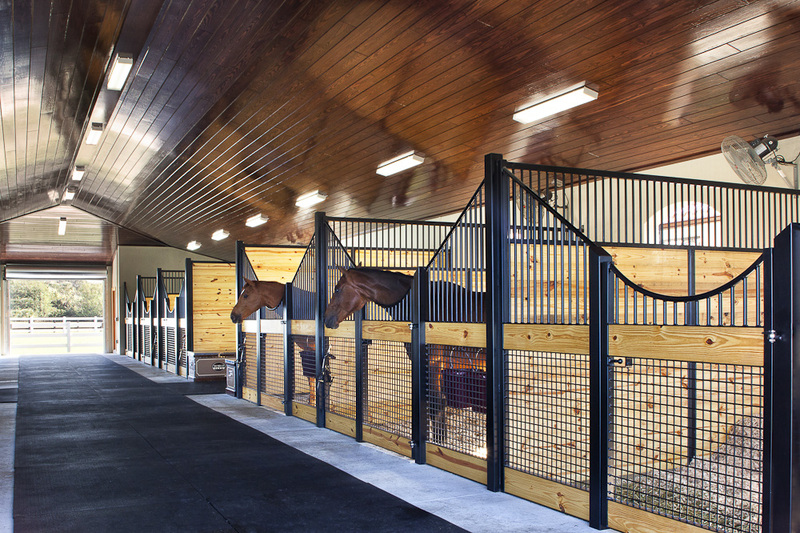 In this week's barn spotlight, I'm sharing photos of a Florida barn that focuses on ventilation with a sleek aesthetic. 1. 12-stalls with Lucas Equine fronts in the Kingston shape. 2. Heavy duty crosshatch mesh bottoms and bar tops. 3. Natural yellow pine lumber installed in a sleek design. 4. Beefy 4" x 4" posts for a sturdy design and hefty look. 5. Stainless steel adjustable hinges for decades of use. 6. Maintenance-free stainless steel spring bolt latch. 7. Partitions: wood panels for privacy and bars for ventilation. What makes this barn look so sleek? Notice how the arc of the door stays in line with the arc of the panels on either side of the door, creating a continuous visual swoop down the aisleway. 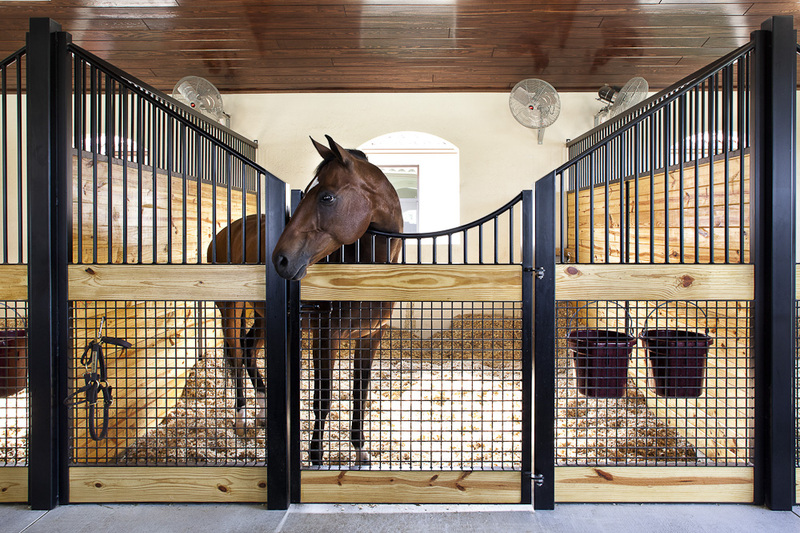 The clean look of the framing around the wood inserts gives a natural feel to the front of the stalls, and doesn't overpower the light-colored walls or wood tone. The vaulted ceiling with hardwood gives a high-end look, while the darker wood tone provides a visual contrast. Happy horses. These horses are relaxed and cool.